One knob moves the slide in a horizontal, the other one in a vertical direction. 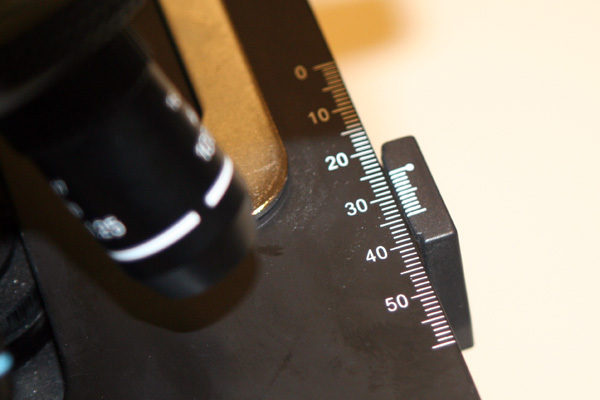 Simpler microscopes might only have stage clips, which hold the slide to the stage. A mechanical stage offers several advantages over stage clips. First, it allows for a precise and accurate positioning of the slide. It is possible to easily find specific structures again. Mechanical stages frequently have a numbered scale built in for each axis. All you have to do is to record the x and y position of the slide. Second, a mechanical stage allows for the smooth movement of the slide. This can be a big advantage when recording a video through the microscope and when you want to smoothly follow the movement of water organisms. Third, you do not apply any pressure on the stage when moving the slide. Moving a slide, which is held down by stage clips, will exert pressure on the stage and may therefore cause the specimen to go out of focus. Last, especially at high magnifications, the required horizontal movements of the slide are so small that moving the slide directly with your fingers will immediately make the specimen to go out of the field of view. You simply do not have as much control using your fingers. After all, you might have to move the slide only the fraction of a millimeter. 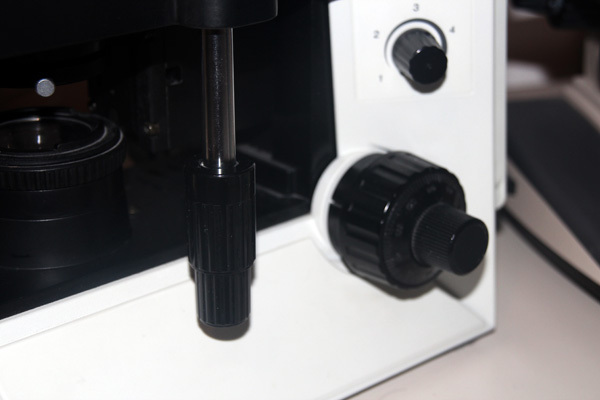 A mechanical stage is therefore highly recommended when buying a microscope. There are mechanical stages for right and for left handed people. The position of the two knobs are then either on the left or on the right side of the stage. 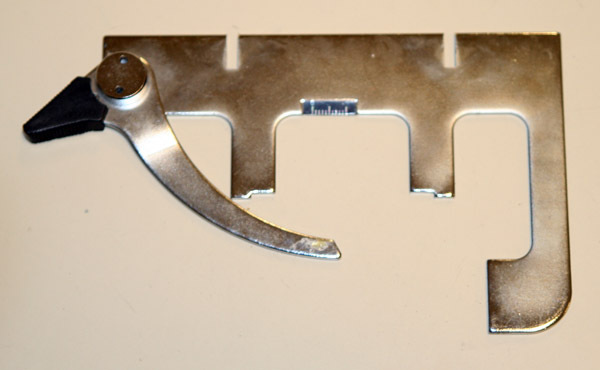 A mechanical stage is equipped with a slide holder. Two knobs, located at the side of the stage, are used to move the slide in two directions. 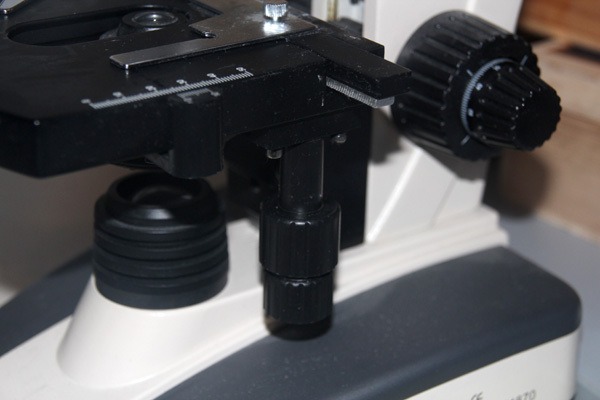 The basic design is similar in all microscopes. The scale at allows you to easily relocate parts of a specimen.